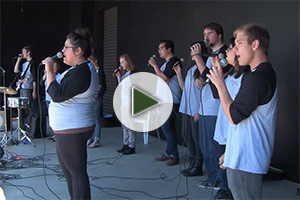 The Umpqua Singers from Umpqua Community College in Roseburg, Oregon, are one of the premiere vocal jazz ensembles in the Pacific Northwest. This 10 member group performs a broad range of musical styles ranging from traditional swing to contemporary R & B. With 18 CD’s to their credit, the group performs 45-50 engagements per year. The Umpqua Singers have toured across the United States, and were the featured performers at the Capitol Holiday Tree Lighting Ceremony in Washington D.C. on December 12, 2002. They have also recently toured Brazil, Spain and Ukraine. 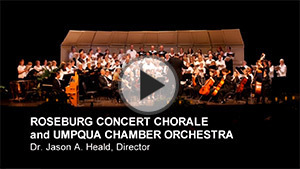 In addition to frequent radio and television broadcasts, the Umpqua Singers have been featured on FOX, C-SPAN, and XM Satellite Radio. 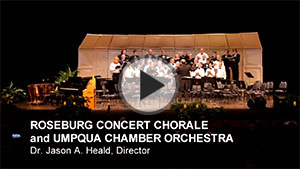 Visit the Umpqua Singers on Myspace and Facebook. Click on any of the images below to view performances from the Memorial Concert on October 23. 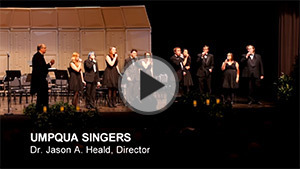 Joining the Umpqua Singers is a year-long commitment for full-time students. Auditions for 2014-15 are May 5 and 7.